On Jan. 9, the Motörhead YouTube account livestreamed a memorial service for the late Ian “Lemmy” Kilmister. During the emotional service, many rock 'n roll greats shared their anecdotes and memories of Lemmy's life, including Guns N' Roses' Slash and Matt Sorum, Judas Priest's Rob Halford and Metallica's Lars Ulrich and Robert Trujillo, among many others. 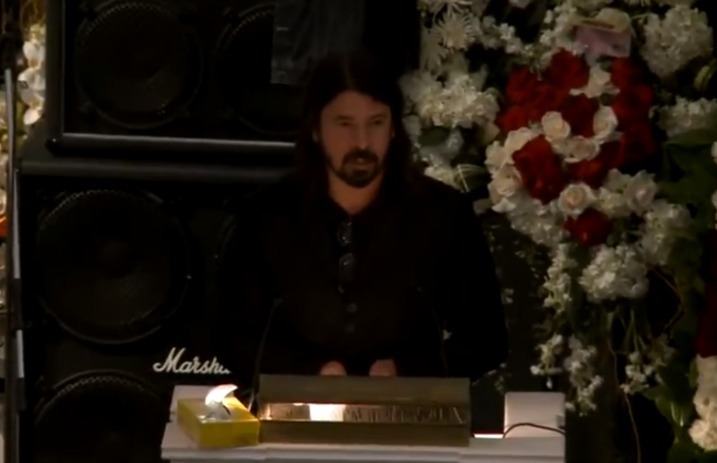 One of the most touching eulogies of the night came from Foo Fighters' Dave Grohl. You can watch the emotional moment, along with the rest of Grohl's speech, below.